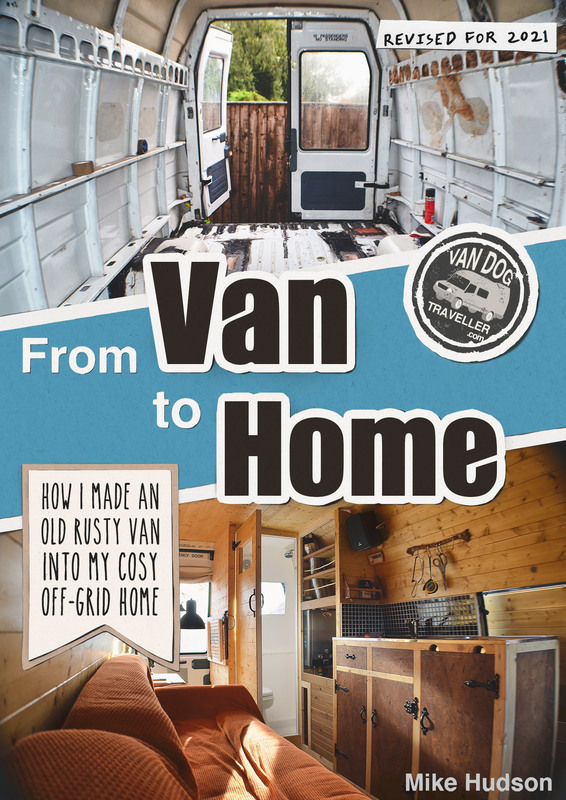 If you want to know exactly how I transformed this van (shown in the picture above) with zero woodwork or van conversion experience then this book is for you. I believe that anyone can do this with a bit of time and patience. 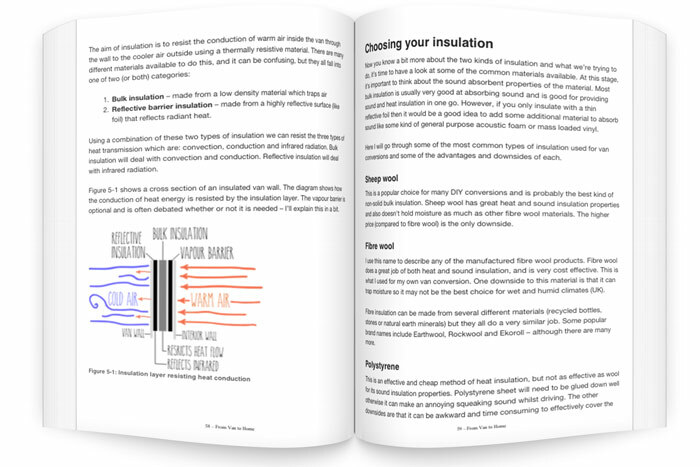 I'll take you through the whole process in simple, detailed steps. 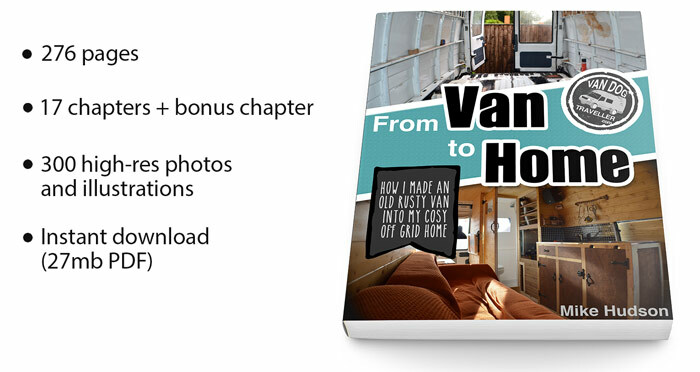 From Van to Home (ebook) This ebook has everything you need to know to make a van into your home – and much more! 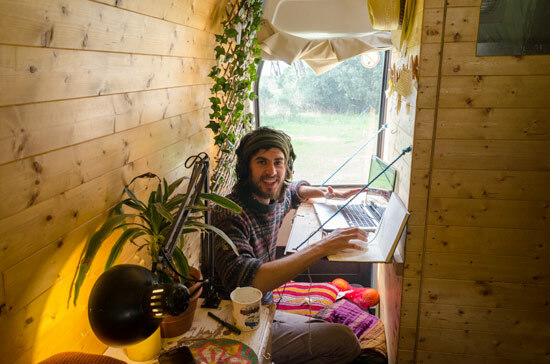 This book will show you – from start to finish – exactly how I converted an old, rusty van into a highly functional off-grid home – the place I’ve been living for the past year. You’ll learn how you can do it for yourself. Along the way I will share the things I learnt, including all of my ideas, tricks, tips and solutions to potential problems. 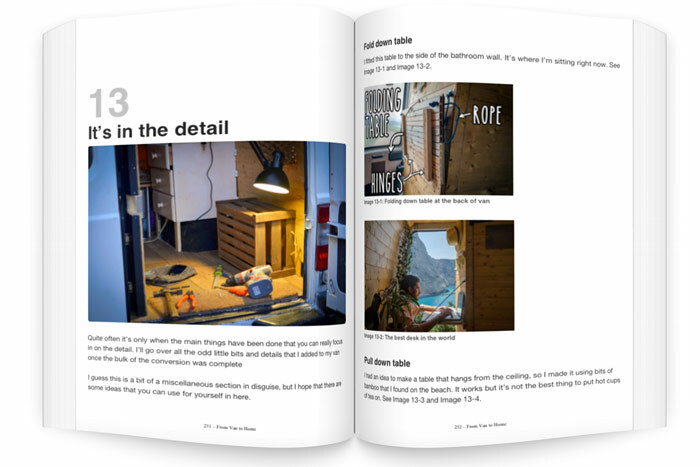 Bonus You will also get a bonus chapter on how to stay productive and on track. 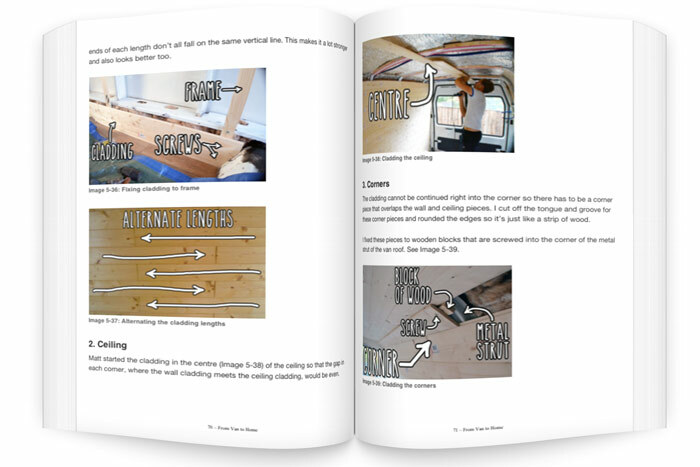 There’s a project plan chart to download to help you get your van conversion project completed efficiently and as fast as possible. My promise to you: I'll give you 30 days (enough time to go through the book) to see if it was worth your money or not. If you are not satisfied or feel like it wasn’t worth the money, let me know and I’ll issue a full, no hassle refund. That’s a promise from me. P.P.S. 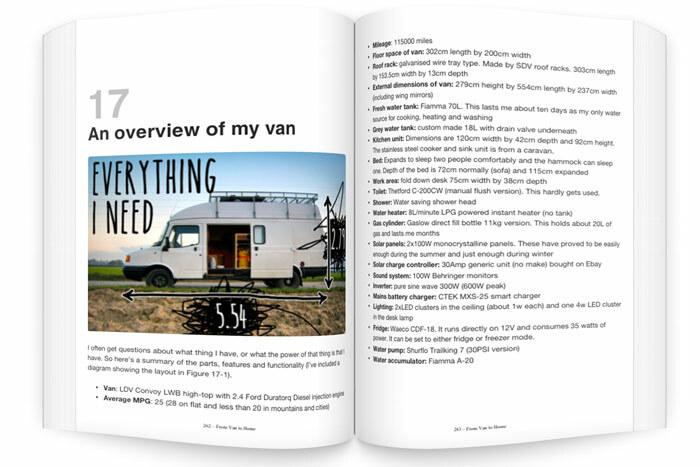 By buying this book, you'll be directly supporting the running of this blog and keeping me on the road. So thank you!